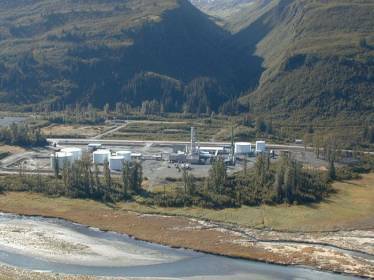 Originally built in 1993, the Petrostar Valdez Alaska refinery is a cutting edge refinery that produces jet fuel, marine diesel, heating oil and other products from locally produced crude. Upgrading the refinery to produce low sulfur fuels required the expansion and construction of new facilities and equipment, much of which required high strength anchor bolts designed to perform at low temperatures. Portland Bolt manufactured F1554 grade 36 and low temperature performance A320 grade L7 anchor bolts ranging in diameter from as small as 5/8″ diameter to as large as 3″ in diameter. Due to the accelerated construction schedule, the remote location of the job and oncoming Alaska winter weather that would halt construction, Portland Bolt had to navigate complicated testing requirements and juggle multiple material sources in order to manufacture the anchor bolts in an expedited time frame required by the customer. Shipments often involved highly critical ocean and air freight shipment dates and Portland Bolt was entrusted to meet these dates and to supply quality and correct product to the jobsite.